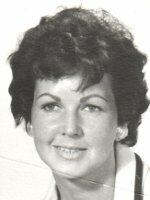 ALBANY – Jane D. DeRusso, 78, of Albany, passed away peacefully at Albany Memorial Hospital on Friday, June 22, 2012. Jane was born in Rensselaer, the daughter of the late Charles and Jane Roberts McAuley. She lived in Schenectady and Albany all her life. She was a communicant of the Parish of Mater Christi and the former St. Catherine of Siena Church. Jane was a loving mother, who touched all of those she came in contact with, she loved to cook and especially try new recipes. Mom loved to garden and decorate, she also had a great sense of humor and the ability to make all of those around her laugh. Mom we will miss you dearly, but you will forever live in our hearts. Jane was predeceased by her husband Louis G. DeRusso. She is survived by her children Craig L. DeRusso (Janet) of Ballston Spa, Mark L. DeRusso of North Carolina, Michele L. Bruno of Boynton Beach, FL, Cheryl Wisniewski (Frank) of Colonie, and Gaye DeRusso (Sean VanSlyck) of Walnut Creek, CA; her sister Ann Liberty of San Antonio, TX; her brother Charles McAuley of Schoharie; her grandchildren Danielle M. and Craig R. DeRusso, Charles, John and Sarah DeRusso, Nicole and David Bruno, and Katie Wisniewski; and by several nieces and nephews. A Mass of Christian Burial will be celebrated in the Parish of Mater Christi, Hurst Ave., Albany, Tuesday morning at 10:00. Relatives and friends are invited. There will be no calling hours. Inurnment will be in St. Raphael’s Cemetery, Poultney, VT. Arrangements have been entrusted to the Hans Funeral Home, Albany. To leave a message of condolence for the family, send a sympathy card, or obtain directions to the church, please visit www.HansFuneralHome.com. Click here for directions to the Parish of Mater Christi. And that is why there is only one you. Mac , Please accept my deepest condolences on the loss of your sister. Please extend my sympathies to your family as well. Cheryl and Gaye, my condolences to you and your family.